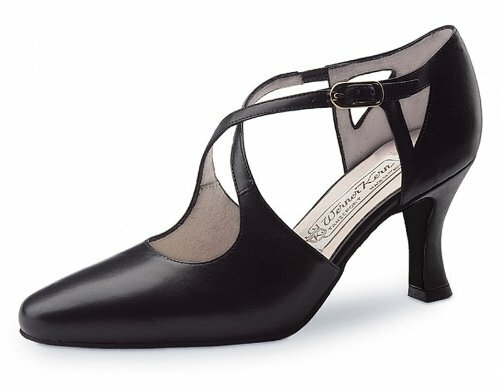 Elegant and extremely comfortable Werner Kern Model Ines Black Leather dancing shoe. The fine heel strap provides a stable fit, as the exterior strap is individually adjustable, the interior strap can be adjusted to fit perfectly with the leather-covered elastic band. The heel with filigree cut-outs and the crossed straps provide perfect elegance. Soft nappa leather that provides a particularly gentle and supple fit.